Summer is here and gas is expensive. In this post, we’ll demonstrate how to leverage the Chase Freedom 2nd quarter promotion to earn 7,500 Ultimate Rewards points and get $2 off every gallon of gas. We demonstrated how you can earn 5% cash back and transfer the cash to Ultimate Rewards points with the Chase Sapphire Preferred® or Ink Bold. We also demonstrated an easy way to register for each quarterly promotions to ensure you earn 5% cash back on the eligible categories. The second quarter Chase Freedom promotion offers 5% cash back on Grocery Stores and Movie Theaters through June 30, 2012. The cash back is offered on purchases up to $1,500 in spending. 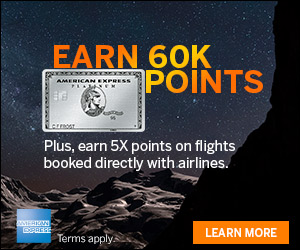 Basically, if you max out this promotion, you’ll earn 7,500 Ultimate Rewards points. But you have to max it out to earn the points. You can check how much you’ve spent by logging into your account and viewing your statements for the quarter. Once you know how much more you have to spend to max out the promotion, check out your local grocery stores for the best gift card options. We found that we still needed to spend ~$700 to max out the 5% cash back for the second quarter. So we headed to our local Kroger grocery store for a specific reason, more on that next. We know from experience, that Lowes gift cards can be used to make purchases through the Ultimate Rewards mall. In addition, we will likely spend all of the gift cards in the next month. So we purchased ~$700 in gift cards at Kroger which netted us 3,500 points if we transfer the cash back to our Ultimate Rewards account. Kroger has a pretty neat way to save on gas purchases. You can sign up for a Kroger account and earn fuel points by spending at Kroger. You can then redeem your fuel points for a maximum of $2 off every gallon in a fill-up. It just so happens that the gift cards earn 2 fuel points per dollar. So our purchase of ~$700 gift cards netted us 1,400 Kroger fuel points. Once you earn enough fuel points you can fill up at a Kroger gas station near you with redeem your fuel points for discounts. Discounts vary by location so be sure and check out what your nearest Kroger store is offering for fuel points. Our nearest store is offering the discounts below. So if you purchase ~$700 in gift cards, you’ll have enough for $1.40 off every gallon of fuel for 1 fill-up. 100 fuel points = 10¢ off per gallon of fuel for 1 fill-up at Shell. 1,000 fuel points = $1.00 off per gallon of fuel for 1 fill-up at Kroger. Once you purchase your gift cards and use your Kroger fuel points, the earning doesn’t stop there. You can then use your gift cards to make purchases through the Ultimate Rewards mall to earn more Chase Ultimate Rewards points. We demonstrated how you can use gift cards to make purchases through the Ultimate Rewards shopping mall and earn more points. For this example if we use all ~$700 in gift cards at Lowes, we’ll earn 3 points per dollar, and thus another 2,100 in Ultimate Rewards points. We can also use a %10 off coupon at Lowes to further our discount. Getting 5% back on everyday spend through the Chase Freedom is a great option. If you haven’t already maxed out the second quarter promotion, you still have until June 30, 2012. 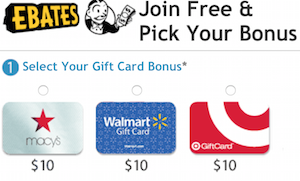 The easiest way is to purchase gift cards at a grocery store. If you do make sure to purchase gift cards that can be used to make purchases through the Chase Ultimate Rewards mall to earn extra points. Points, Miles and Martinis will earn a referral fee for successful applications through the associated links in this post. To maximize the gas credit read the fine print. Giant is our loacl grocery store that does a similar gas credit based on spend. But the fine print states the max number of gallons the discount is good for. I don’t rember the exact number, but both my wife and I can fill both our cars with that limit. It takes a little longer, and could be a logistic problem if the gas station is busy. I will fill my car, then my wife moves my car out and hers in while I keep the pump active. I then fill her car. Saving even more by filling both cars. 35 gallon max discount at Kroger for ONE vehicle. I filled up 2 mid-size cars with no complaint from the station attendant. We parked on each of the pump. Go later when it’s not busy. We bought a lot of gift cards with the Freedom card at Kroger a few weeks ago during the 4x fuel points promo. 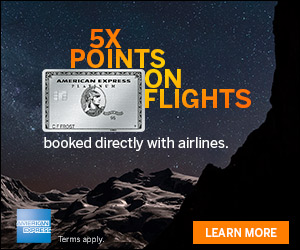 Does this all work out better than getting 5x points with Bold + Amex Prepay? Hi FlyThai – Only in that the freedom has no fee.